CWA has a long history of advocating for children and families in California, through sponsoring and supporting legislation, budgetary requests, and simply educating our representatives in Sacramento about WIC and the benefits and support it provides to their constituents. 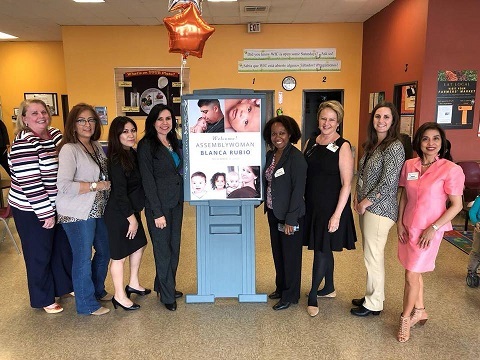 WIC is the state’s largest nutrition and lactation public health workforce, an excellent resource for decision makers as they consider policy that will impact how the needs of local families are met. CWA works to make sure that California’s legislators are knowledgeable about WIC and have good access to WIC’s wealth of knowledge! Act Now to Help Reduce Breastfeeding Disparities! The California WIC Association and California Breast Feeding Coalition support a budget proposal requesting a much-needed increase in Medi-Cal reimbursement rates for personal breast pumps and kits. Contact Sarah at sdiaz@calwic.org to find out how you can support this effort! Your Voice is Powerful! How Did a Breast Pump Help Support Your Family's Feeding Choices?